Bario Rice Farms In The Machine Age. The first Agricuture Revolution happened in 10,000BC, when humans began food crop cultivation, and a large part of their diet came from cultivated crops, instead of foraged food from the wild. 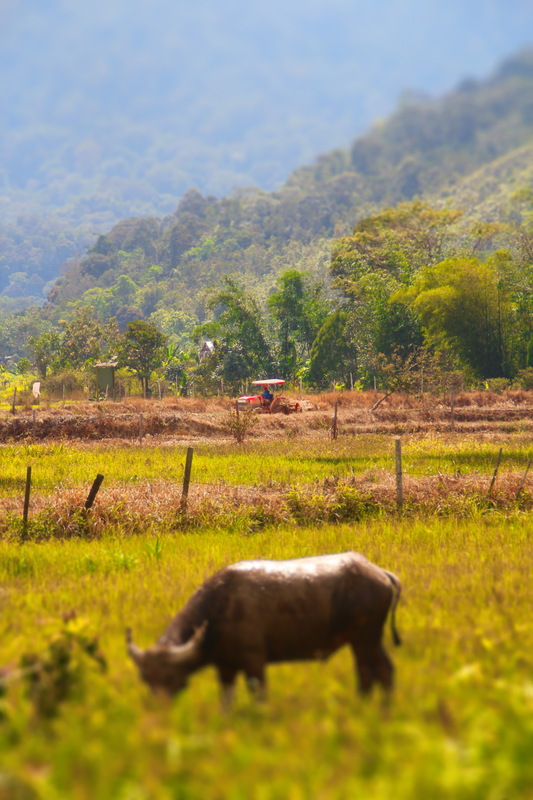 Since then, there have been a few ‘regional’ agriculture revolutions’ around the world, each bringing new understanding to agriculture practices and new effects to our way of life. eg – European agriculture revolution introduced ‘crop rotation’, which changed not just agriculture, but even laws governing land and people. A bufallo grazing in the fields. In the background, a tractor takes its place. While not considered an ‘agriculture revolution’ in itself, the mechanisation of farming has vastly increased crop yeild and food availability wherever it is applied. Surplus food have increased food security, but also reduced farm owner’s security. 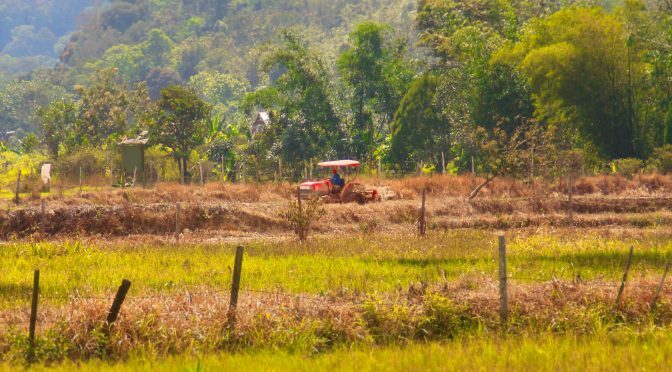 This study by a explores effects of the mechanised farming of rice in Bario, which just only 5 years ago, was very much a manual endeavour. This post is part of a collection of academic research and publications done in the Kelabit Highlands. We'd like to sincerely thank the many academicians and institutions from all over the world that have come to Bario to experiment, document, and expand our understanding of the things around us.